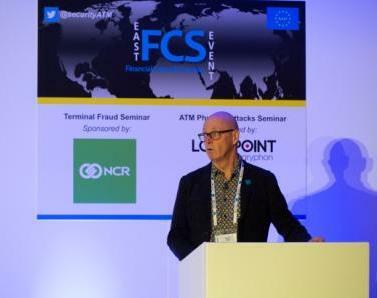 This interactive event focuses on EAST EGAF – the 2018 event covered guidelines regarding logical attacks on ATMs and standardised Fraud Definitions. 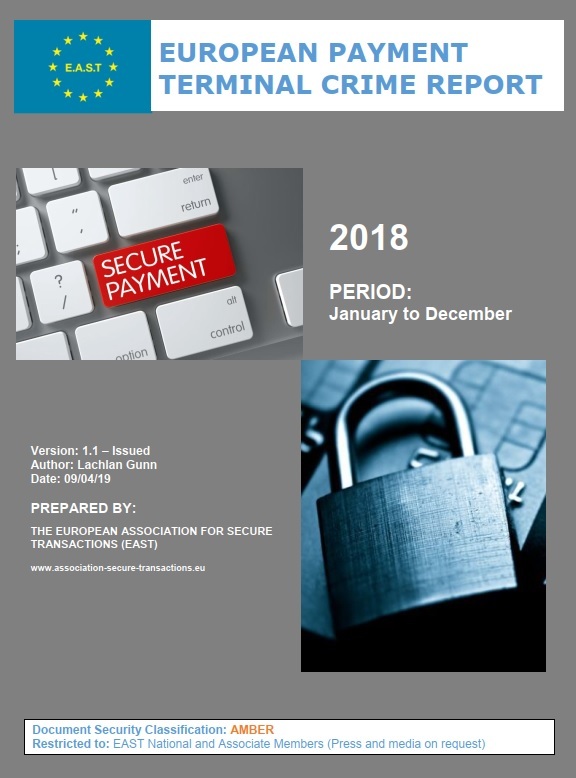 An introduction to the Group was followed by a presentation of the latest EAST Fraud Statistics (H1 2018). A session then focused on the evolution of cash-out/jackpotting attacks in Latin America, followed by a session highlighting Guidelines on how to counter them. 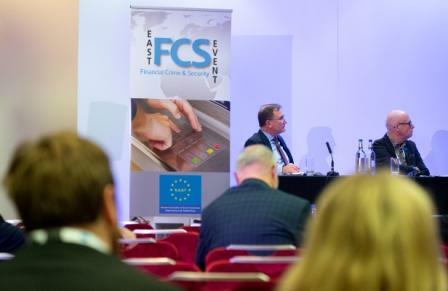 A perspective on card shimming in the UK was given, followed by a session on the importance of standardising fraud definitions. Attendance at EAST EGAF meetings is limited due to the size of the Group and this event enables a wider participation and the opportunity for all attendees to engage with the Group and its organisers. Want to attend the 2019 Event? 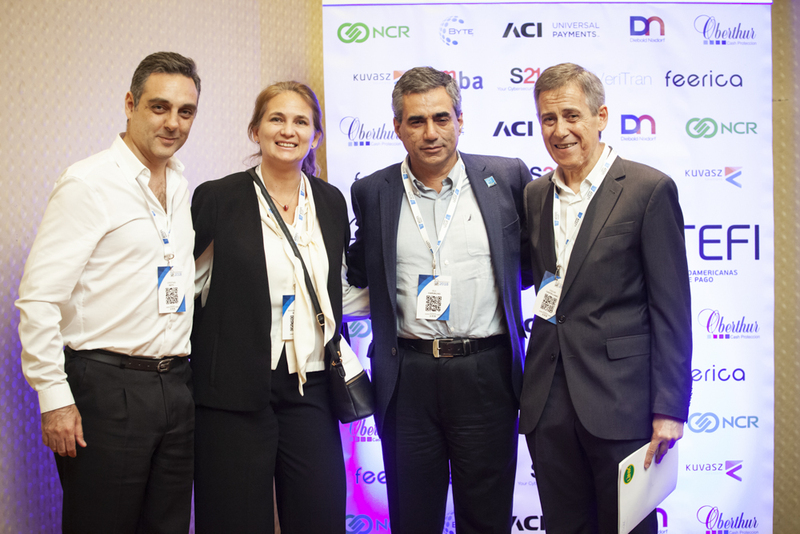 REGISTRATION IS NOW OPEN..
EAST Development Director Rui Carvalho (pictured second from the right with Cristian Patti, Fernanda Romero and Oscar Castellano of ATEFI) presented an overview of Terminal Related Fraud and Transaction Fraud in Europe at the fourth Annual Latin American Forum on Security in Payment Systems, held on 24th / 25th October 2018 in Buenos Aires, Argentina. ATEFI is the Latin American Association of Operators Electronic Funds Transfer and Information Services and represents 20 ATM networks in 14 countries throughout Latin America. In May 2016 EAST and ATEFI joined forces in order to further strengthen cross border cooperation in combating all types of payment crime including payment card fraud, hi-tech crime and ATM cyber and physical attacks. 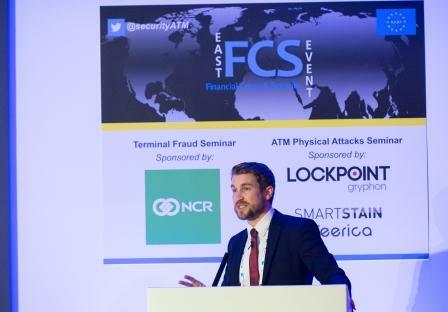 This interactive event focuses on two key outputs of EAST EGAF – guidelines regarding logical attacks on ATMs and standardised Fraud Definitions. An introduction to the Group will be followed by a presentation of the latest EAST Fraud Statistics (H1 2018). A session will then focus on the evolution of cash-out/jackpotting attacks in Latin America, followed by a session highlighting Guidelines on how to counter them. A perspective on card shimming in the UK will then be given, followed by a session on the importance of standardising fraud definitions. . The Sixteenth Meeting of the EAST Expert Group on All Terminal Fraud (EAST EGAF) took place on Wednesday 19th September 2018 at ING Domestic Bank in Amsterdam. EAST EGAF is a regional expert group that focuses on regional and global payment terminal crime and fraud related issues, threats and counter-measures. The meeting was chaired by Mr Otto de Jong and was attended by key representatives from Terminal Deployers, Terminal Vendors, Networks, Card Schemes, Security Equipment and Software Vendors, Law Enforcement and Forensic Analysts. 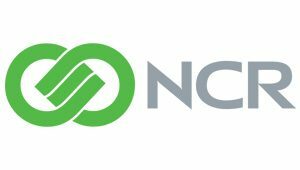 The Group, which meets three times a year in advance of each of the meetings of EAST National Members, enables in-depth and technical discussion to take place on Logical and Malware attacks, Card Skimming, Card Trapping, Cash Trapping and Transaction Reversal Fraud. In addition EAST EGAF generates EAST Fraud Alerts for all EAST Members (National and Associate). In total 195 EAST Fraud Alerts have been issued, 28 to date in 2018. EAST EGAF meetings are restricted to working group members and, to provide a wider platform for sharing/discussion, the Group is holding a half-day open seminar in London on 10th October 2018. Registration for this is now open and more information can be found on the EAST Events website.